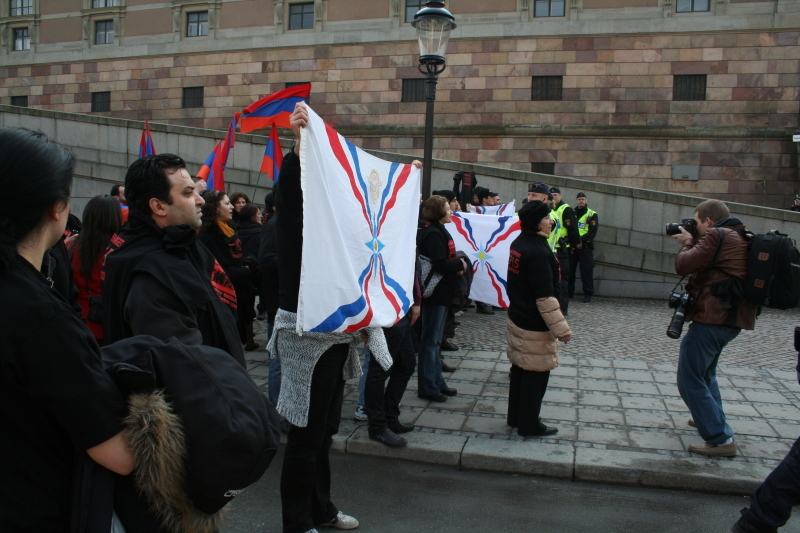 Stockholm (AINA) -- A group of Assyrians and Armenians gathered today outside the palace of the Swedish King in Stockholm ahead of the arrival of Turkish prime minister Recep Tayyip Erdogan. 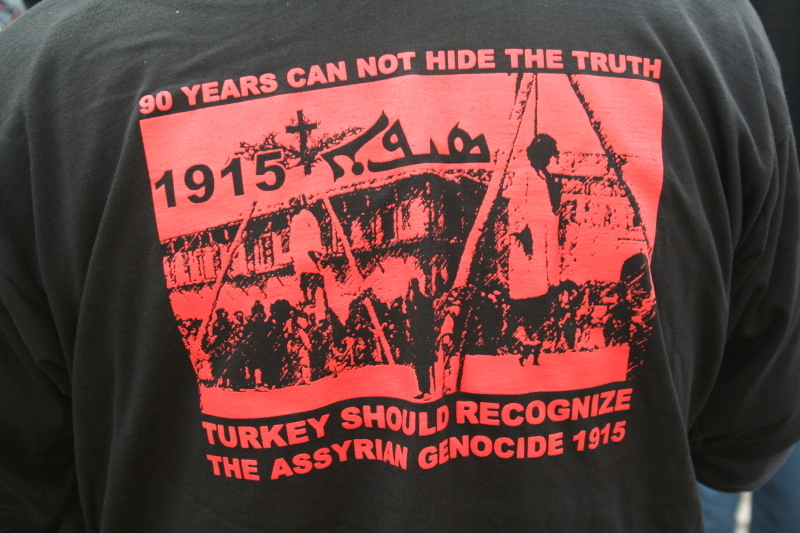 The demonstrators carried Assyrian and Armenian flags and demanded that Turkey acknowledge the genocides of Assyrians, Greeks and Armenians, which took place between 1914-1918. On April 17 the Swedish parliament will vote on two bills calling for an official Swedish acknowledgment of the genocide of Assyrians. Mr. Erdogan is expected to underline to Swedish politicians that his country cannot accept any charges of genocide.